LOS ANGELES, January 18, 2019 – Vision Films, Behind The Curtain Media and Blind Turn Films present the family-friendly film about acceptance, Cecil. 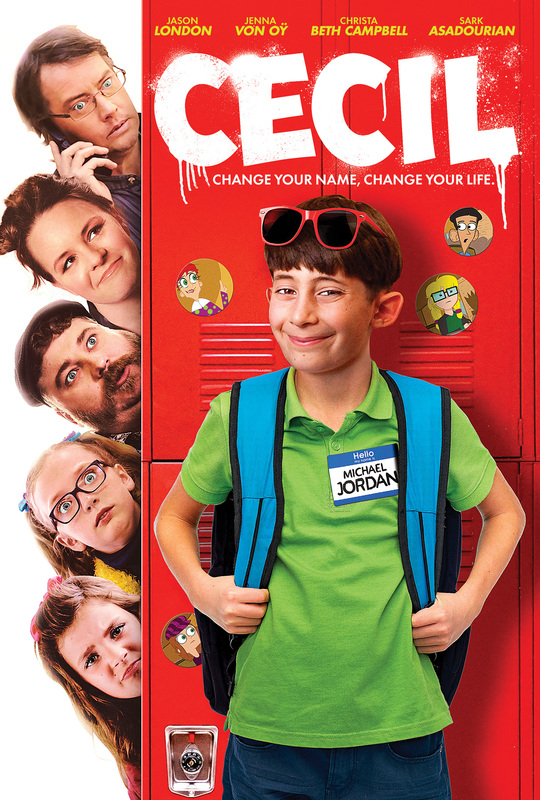 Based on writer/director Spenser Fritz’s experiences as a child, Cecil is the endearing story of a boy trying to fit in at school with a speech impediment. With an important message of acceptance of others and also self-acceptance, this is a charismatic and nostalgic film that is a must-see for the whole family. Starring Jason London (Dazed and Confused, To Wong Foo: Thanks for Everything Julie Newmar), Jenna von Oÿ (Blossom, The Parkers), Valerie Jane Parker (Nashville, Dying for the Crown), Aaron Munoz (Stranger Things, The Walking Dead), Christa Beth Campbell (Hall Pass, Sisters) and introducing Sark Asadourian as Cecil, the film brings awareness to a common condition that is often not spoken of and is a coming-of-age story about friendship, love and acceptance of self. It's 1996 and fourth-grader Cecil Stevens (Sark Asadourian) finds himself switching to a new school after his parents (Jason London, Jenna von Oy) decide to separate. Cecil becomes fast friends with Abby (Christa Beth Campbell), a rambunctious school newspaper reporter, but gets off to a rough start when she notices that, due to his horrible lisp, he can't pronounce his own name. So he decides to change his name to that of his hero, Michael Jordan. His whole school learns a lesson about acceptance after he and his friends start a business with the corrupt principal that sells celebrity names to kids. Cecil will be available Jan. 22 on Digital for an SRP $4.99 – $9.99 Rent or Buy across all platforms and to Buy on DVD for $14.95. “The creation of Cecil was a true labor of love from not just us but our entire cast and crew. We hope this, as well as the feel-good message, translates in a way that everyone walks away with a smile on their face,” says the film's producer Amanda Dillingham.